2 Thresher Sharks In 1 Day! We have been fishing everyday and the action has been very good. Here are some reports from our days out at sea. The highlight of this month was 2 thresher sharks we caught in one day! 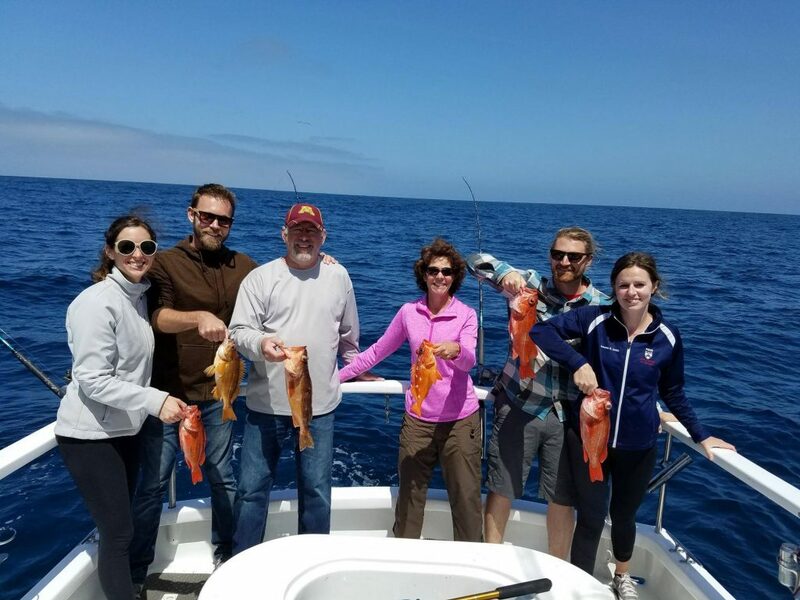 We still have days open in May and June, so please give us a call to schedule your sport fishing adventure in San Diego! April 23- Rock Fish Still Rocking For A Group From Minnesota! Captain Jon at the helm and first mate Adam on the back deck on a ½ day local charter this morning. The rock fishing started off slow but picked up as the morning went on. 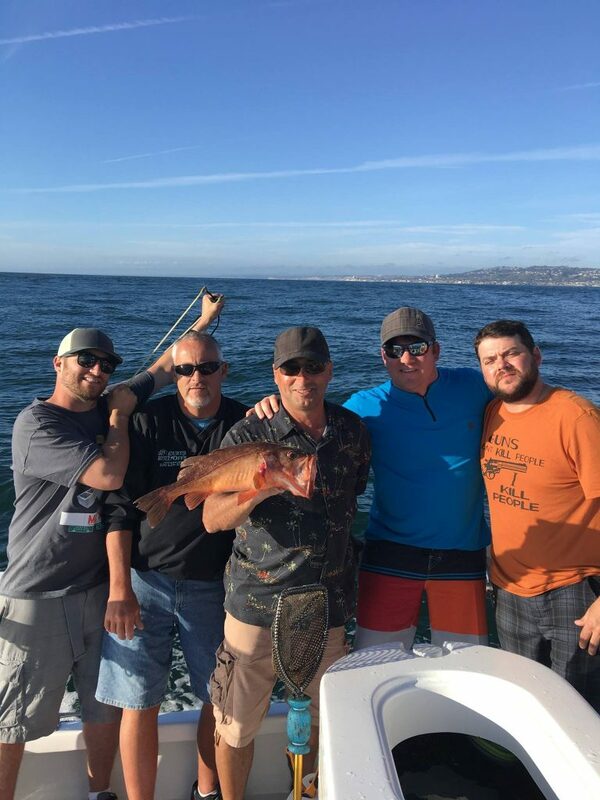 They caught 7 Stary rockfish, 1 Bocaccio, 5 Bank Perch, 3 Reds and one Black Rockfish. Thanks Andy for fishing with us again this year. The pleasure was all ours! 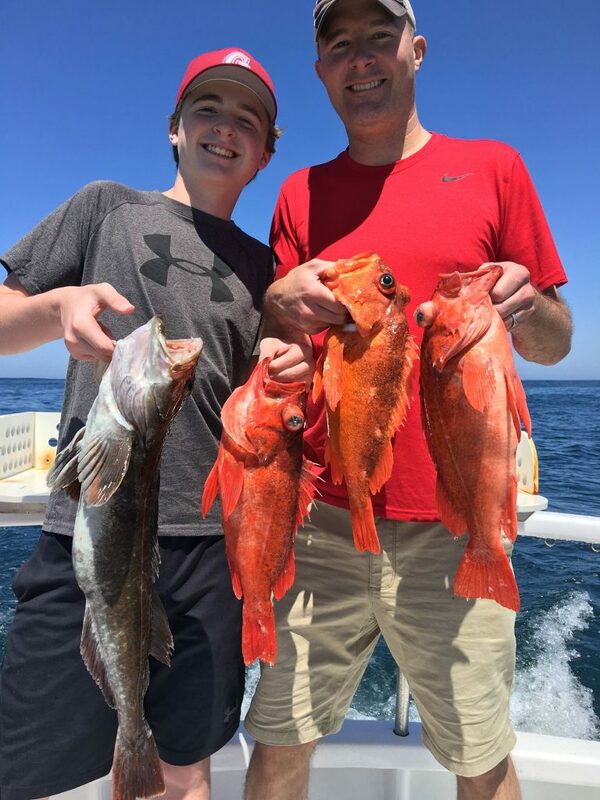 April 21 – Rock Fishing On Fire For A Father & Son Team From Massachusetts! Captain Brian at the helm and first mate Mat on the back deck on a ½ day local charter this morning. The rock fishing were on fire for the two anglers. They caught 39 rockfish (9 safely released), 4 lingcod (1 safely released), 1 copper rockfish and 2 blue rockfish (2 safely released.) Great Job on those fish.Thanks Eric for choosing Coletta Sport Fishing for fishing adventure. Enjoy San Diego and get back home safe. April 17 – Beautiful Afternoon On The Water With A Group From Minnesota! Captain Brian at the helm and first mate Mat on the back deck on a ½ day local charter this afternoon. The water turned color for our afternoon trip. The fishing was much slower but they still managed to catch 8 rockfish, 1 Boccaccio and 1 sand dab. 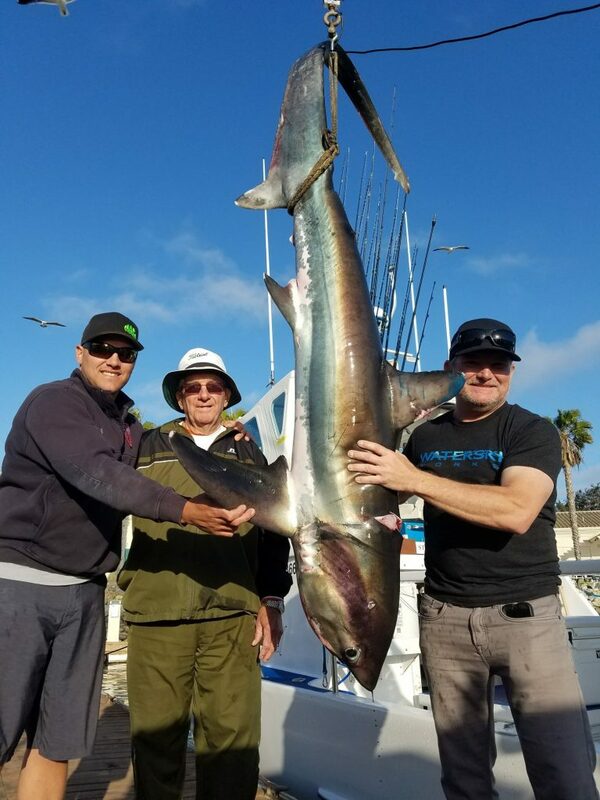 They soaked bait for thresher shark and trolled about an hour and a half for no bites.Thanks Joe for choosing Coletta Sport Fishing for fishing adventure. Enjoy San Diego and get back home safe. April 17 – Another Productive Day Of Rock Fishing For A Family From Wisconsin! Captain Brian at the helm and first mate Mat on the back deck on a ½ day local charter this morning. It was a decent morning of rock fishing. They caught 22 brown rockfish (safely released 10), 8 Boccaccio (2 safely released) and 1 mackerel for all their hard work. It is good to see both your daughter’s happy faces with the fish they caught. Great stuff! Thanks Marcia for choosing Coletta Sport Fishing for fishing adventure. 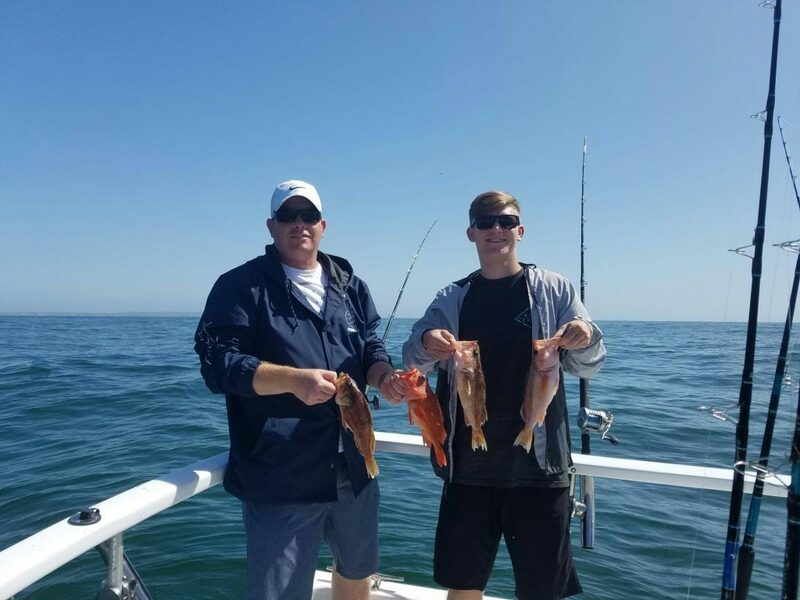 April 15th – Beautiful Day On The Water For A Father & Son Team From Arizona! Captain Jon at the helm and first mate Adam on the back deck on a ¾ day local trip today. The fishing started out strong but slowed down as the day went on. 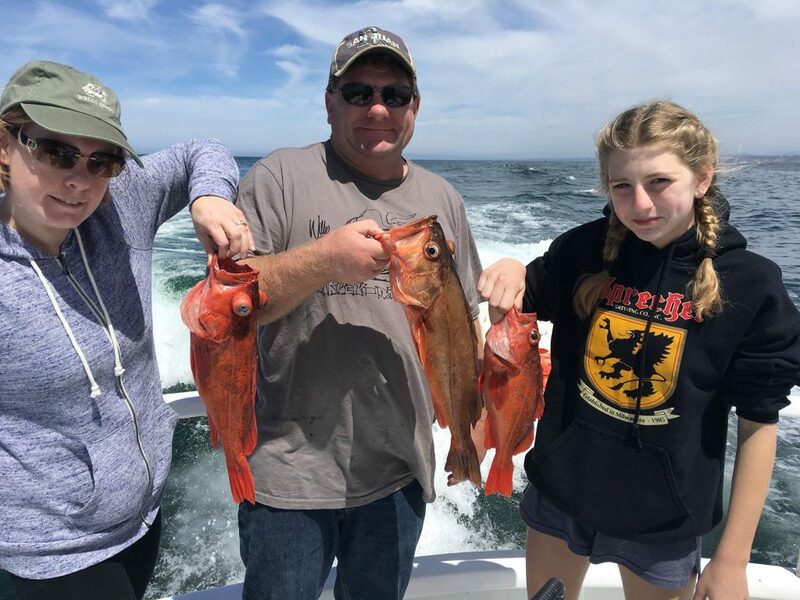 They caught 1 brown rockfish, 3 Boccaccio, 3 lingcod (3 safely released) and 1 stary for all their efforts.Thanks Thomas for choosing Coletta Sport Fishing for fishing adventure. The pleasure was all ours. 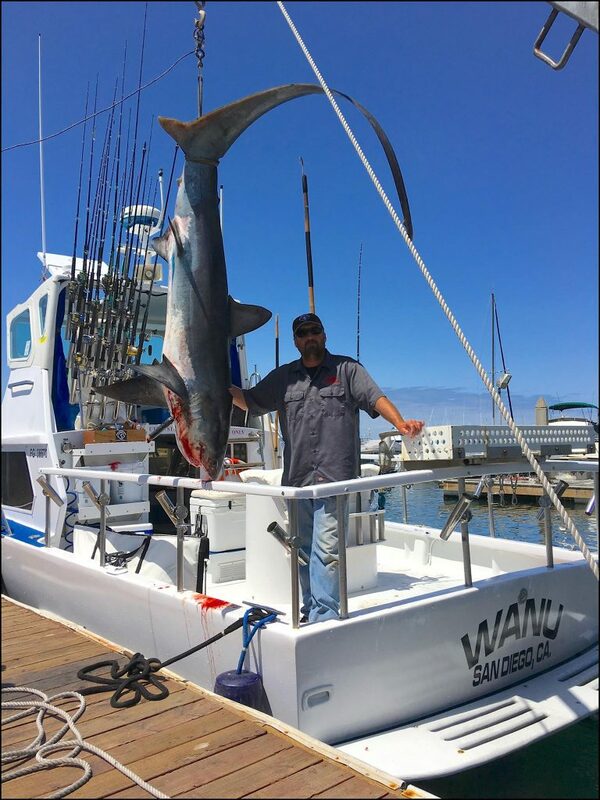 Captain Brian, first mate Mat and all the anglers joined in on 2 thresher sharks caught in the same day on two ½ day charters. The first thresher weighed in at 219lbs and the second 110lbs. Great job on hooking and landing those fish!